The Georgia Department of Public Health has determined there have been three human West Nile virus (WNV) cases in the state. Local Public Health officials are urging residents to reduce mosquito populations around their home. Doing so will protect against mosquito bites and the possible spread of mosquito-borne illnesses, such as WNV and Eastern Equine Encephalitis (EEE). 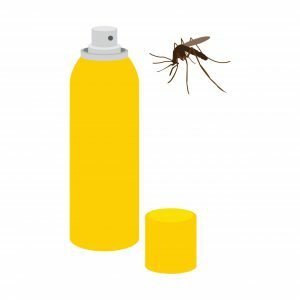 Dusk/Dawn – Mosquitoes usually bite at dusk and dawn, so avoid or limit outdoor activity at these times. Dress – Wear loose-fitting, long-sleeved shirts and pants when outdoors, especially at dawn and dusk to reduce the amount of exposed skin, as weather permits. DEET – Cover exposed skin with an Environmental Protection Agency (EPA)-registered insect repellent containing one of the following active ingredients: DEET, picaridin, IR3535, oil of lemon eucalyptus (OLE), para-menthane-diol (PMD), or 2-undecanone. Be sure to follow the instructions on the label. Drain – Daily empty any containers holding standing water because they are excellent breeding grounds for virus-carrying mosquitoes. After every rainfall, tip out water in flowerpots, planters, children’s toys and wading pools, and buckets. If it holds water and you don’t need it (old tires, bottles, cans), toss it out. Doors – Make sure doors and windows are in good repair and fit tightly and fix torn or damaged screens to keep mosquitoes out of the house. Symptoms of WNV include headaches, fever, neck discomfort, muscle and joint aches, swollen lymph nodes and a rash that usually develop 2 to 14 days after being infected. Those at higher risk for complications from the disease are the elderly, those with compromised immune systems, or those with other underlying health conditions. For more information about these protective measures or mosquito-borne illnesses, contact your local health department or visit www.cdc.gov.